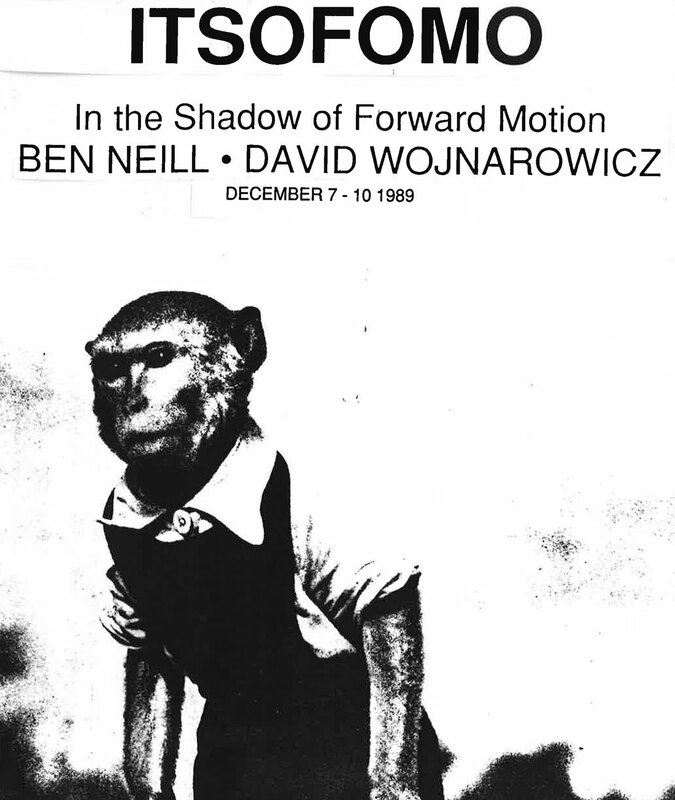 ITSOFOMO premiered at The Kitchen and was performed live by David Wojnarowicz who read alongside multi-channel projections of his film while Ben Neill performed an original score for his "mutantrumpet" along with live percussion. The show also included dance choreographed by Gloria McLean and performed by James Reedy, Robert Yahner, Sue Perschino, and Walter Dundervill. This work was a meditation on theories of speed as experienced through the various media and the senses.